Senator Orin Hatch says that people receiving social assistance from the government need to prove that they won’t be spending that money on drugs. He’s calling for drug testing for each of the 15 million Americans receiving unemployment assistance or welfare. 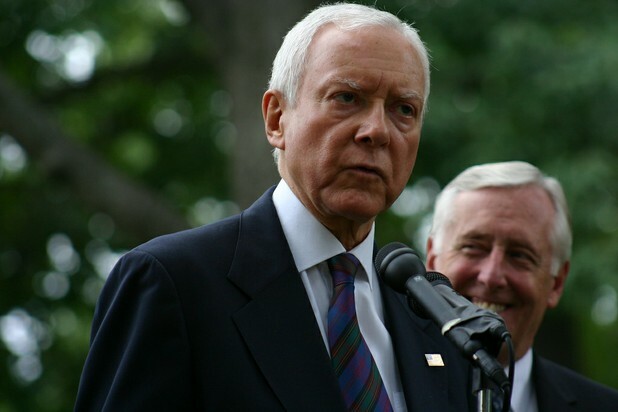 Utah Senator Orin Hatch says that people who want welfare or unemployment benefits should have to pass a drug test before receiving any payments. In commenting, Sen. Hatch said, "Too many Americans are locked into a life of a dangerous dependency not only on drugs, but the federal assistance that serves to enable their addiction. This amendment is a way to help people get off of drugs to become productive and healthy members of society, while ensuring that valuable taxpayer dollars aren't wasted." He is trying to get his amendment added to a $140 billion dollar bill that extends tax breaks and social programs for those still suffering from the poor economy. How much will it cost to drug test all 15 million people on social assistance? Hatch’s office had said that people who fail the test will have 60 days to enroll in state or federal drug treatment programs – are these programs available in sufficient numbers to handle additional clients, and what would this additional treatment cost? Should children be punished by the withholding of benefits to a parent who fails a drug test?